WASHINGTON, D.C. – The United States took another step Tuesday to roll back restrictions with Cuba, opening financial channels for greater trade and clearing some obstacles to air travel. The measures are the latest toward easing Cold War-era sanctions after the two former foes restored diplomatic ties last year. It also seeks to reopen commercial and transport routes as U.S. companies study options for investment on the island. The new codes, announced by the Treasury and Commerce departments, will remove blocks on payments and financing rules aimed at opening greater direct trade in areas such as telecommunications and civil aviation. 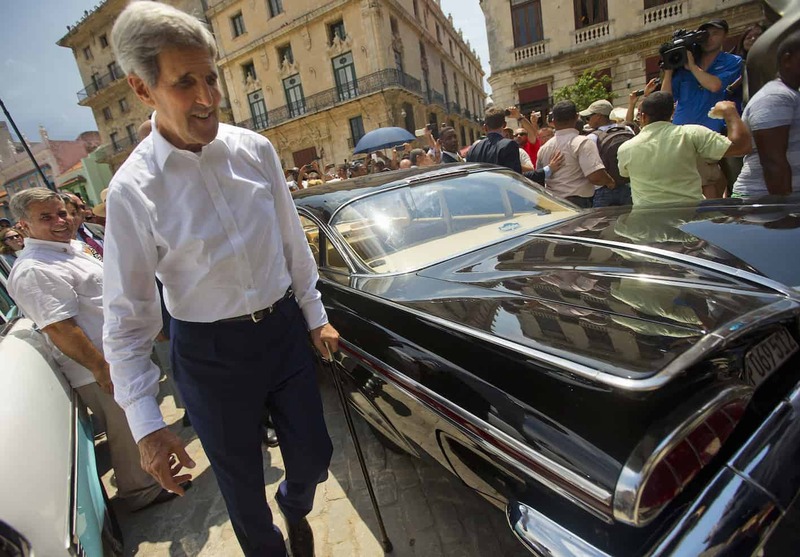 Currently, most of the limited U.S.-Cuba trade is done through cash-in-advance payments or third-country financing. For air travel, the changes will allow arrangements such as airline code-sharing and leasing deals with Cuban airlines, the agencies said. It also will clear more Americans for approval to travel to Cuba, including for businessmen meetings and humanitarian projects. The new rules take effect Wednesday. The general U.S. embargo against Cuba remains on the books, however, and Congress remains deeply divided. In a series of meetings late last year, the Obama administration has pressed Havana to loosen economic and political restrictions to provide the U.S. side with signs of progress to press Congress for action on possibly ending the embargo.